"When It's Just You and Me" is the name of a 1976 single by Dottie West, that became a Top 10 Country hit in 1977. This song is important because it marked the first single released by West under her new record company, United Artists. Her material was now more sexual and riskier material, and this was her first single that proved this. her material now was more aimed towards country pop sounding material. 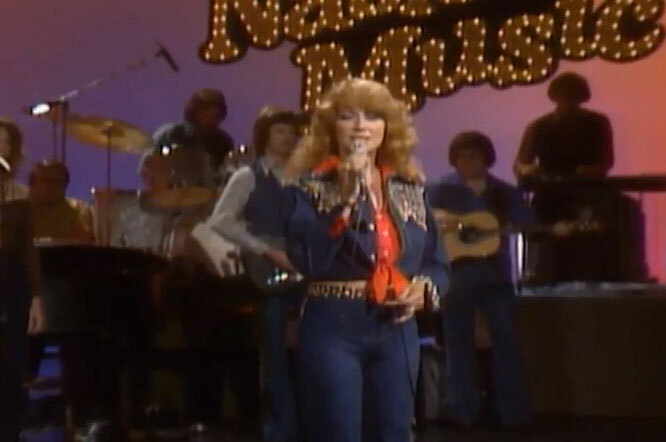 The song was released in late 1976, and brought West back as a Country singer, after a rapid downfall of chart success between the years of 1975 and 1976 under RCA (which eventually dropped her from their label because of it). This song brought West back into the Top 20, at No. 19 on Billboard's list.On Cashbox's list, the single hit the Top 10, peaking at No. 10, her first Top 10 hit since 1974.